Nicolae Grigorescu was born in 1838 in the village of Pitaru (nowadays belonging to Potlogi commune in Dîmboviţa county). e was the sixth child (out of seven) of the family. After the death of his father the family moved to Bucharest, in Cărămidari outskirt. At the age of 10 he entered as apprentice at the Czech painter Anton Chladek (1794 - 1882, settled at Bucharest in 1835). 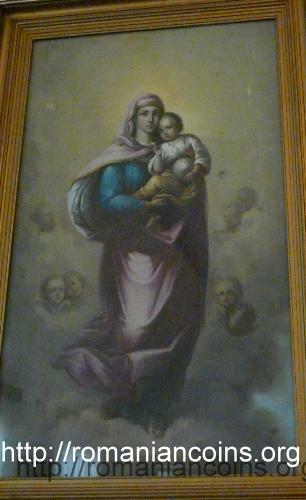 After 1850, over to 1853, Nicolae painted icons for selling at local fairs. Later he painted icons for the church in Băicoi, for Căldăruşani and Zamfira monasteries. 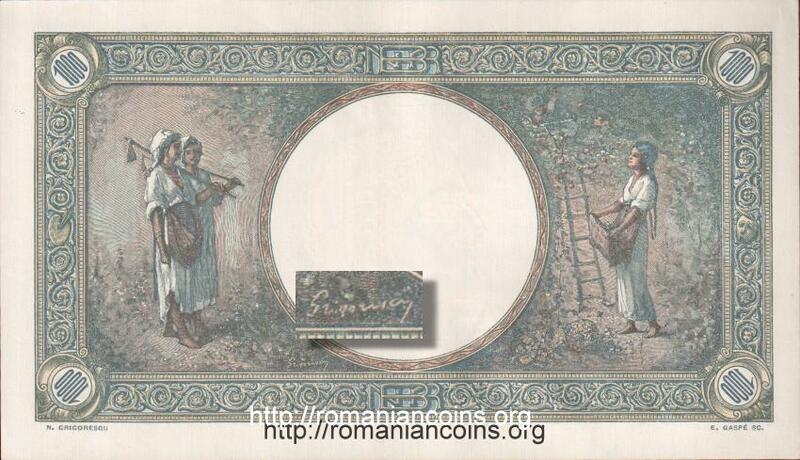 In 1858 he obtained a 2000 gold coins contract for painting the church of Agapia Monastery. Grigorescu and his associates worked at Agapia until 1861. The paintings from Agapia were noticed by Mihail Kogălniceanu, the powerful minister and collaborator of of prince Alexandru Ioan Cuza. Impressed by Grigorescu's talent, Kogălniceanu granted to the young painter - in 1961, and without any official competition - one of the scholarships abroad (of 260 gold coins per year) provided in the budget for 1862 of the Principality of Moldavia. In the following years Grigorescu studied painting at Paris and in the artistic community of Barbizon, a village near the capital city of France. In 1868 he participated to an art exhibition of the painters from Barbizon, one of his paintings being bought by emperor Napoleon III. In the same year two of his paintings were accepted and exposed at Salon (Salon de Paris was an annual or biennial art exhibition organized by Académie des Beaux-Arts - Academy of Fine Arts; at that time, the main artistic event of the entire world). In 1870 Grigorescu exhibited 26 paintings at "Expoziţia artiştilor în viaţă" - Exhibition of living artists - organized at Bucharest. He received the gold medal for the portrait of the great ban Năsturel Herescu (great ban was a title, used in Walachia by the boyar who administrated the province of Oltenia). 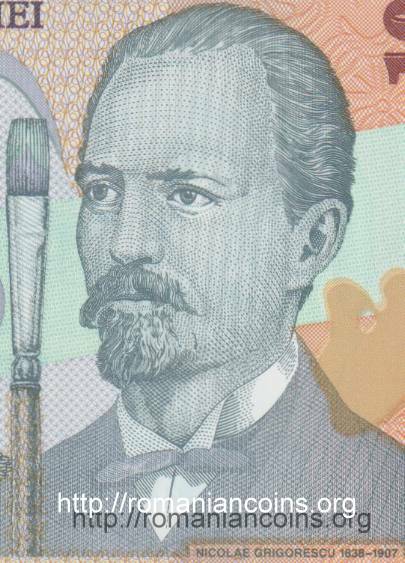 During the Independence War of 1877-1878 Grigorescu was attached to the General Staff of the Romanian Army, as painter. In this position he sketched numerous war scenes. Some of his drawings sketched on the front line were materialized as paintings. The most known is, beyond any doubt, "The Attack of Smîrdan" (Smîrdan was a redoubt near Vidin, stormed by Romanian troops in January 1878), painting commissioned by the municipality of Bucharest. Around 1900 Nicolae Grigorescu was a very renowned and valued painter. His paintings were sold for large amounts of money. He participated with paintings to various exhibitions and he had several personal exhibitions at the Romanian Athenaeum. 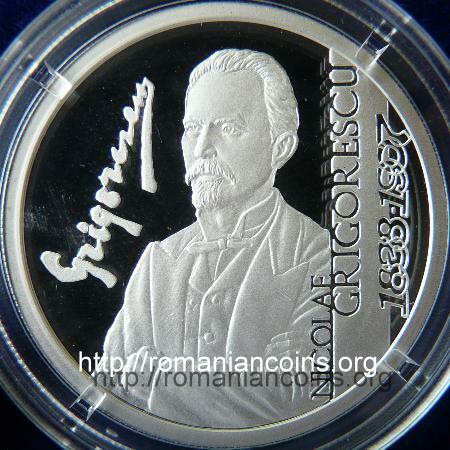 In 1899 he was elected honorary member of the Romanian Academy. Towards the end of his life Grigorescu withdrew at Cîmpina, where he built a home. 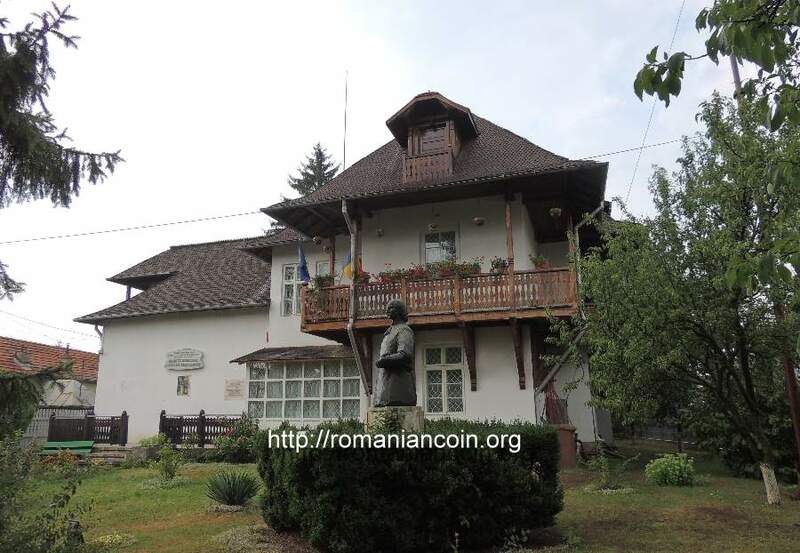 Destroyed by a fire during WW1 (here a German command post had been installed), the house was rebuilt in 1954 and inside the new building a memorial museum dedicated to the great Romanian painter was established. 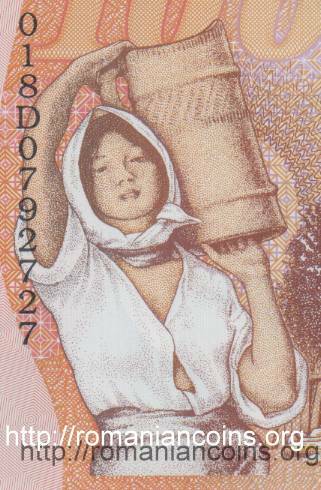 It must be mentioned that several Romanian banknotes issued between 1936 and 1947 (1000, 10000 and 5000000 lei) bear both the name and signature of Grigorescu. 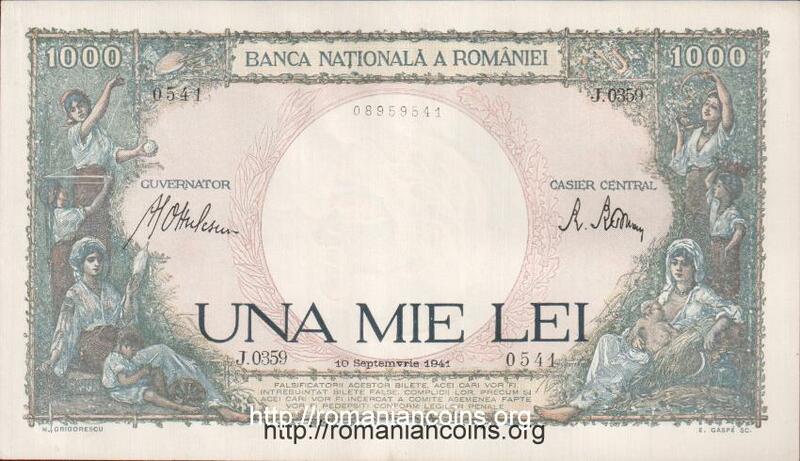 The National Bank of Romania used for these banknotes the drawings made by Grigorescu for the first Romanian paper moneys issued in 1877, drawings that had not been used at their time. 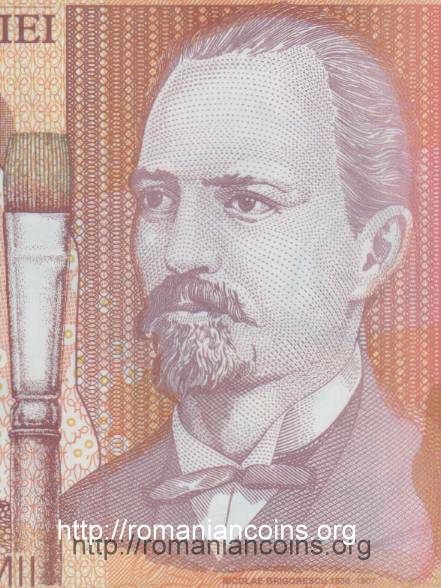 The portrait of Nicolae Grigorescu and a fragment of the painting called Rodica appear on the banknotes of 100000 lei 1998 (printed on paper) and 2001 (printed on polymer), and on the banknotes of 10 lei 2005 and 2008, both polymer based. 2. 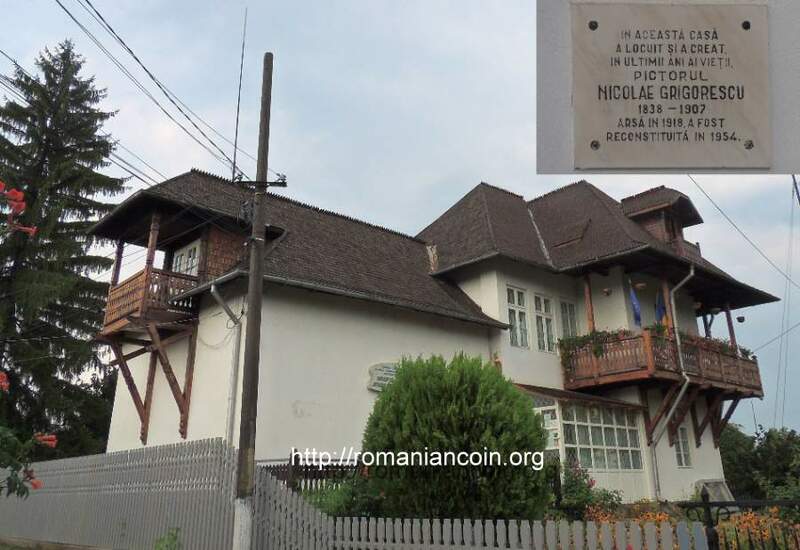 ***, website of the Nicolae Grigorescu Memorial Museum in Cîmpina. 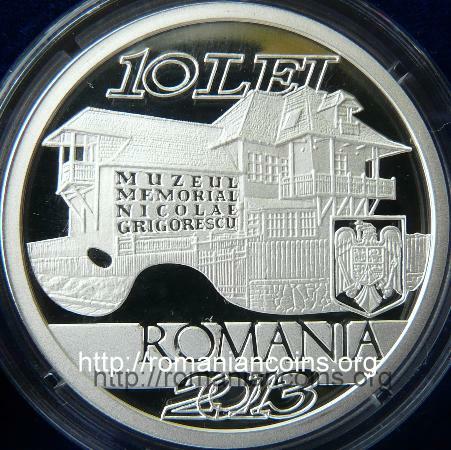 http://grigorescu.artmuseum.ro/index.html, retrieved on May 2013.